1. 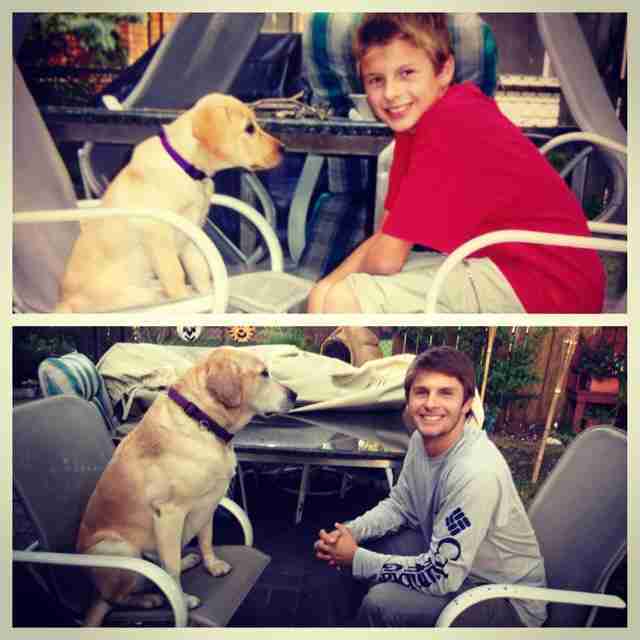 "My best friend turns 13 today. 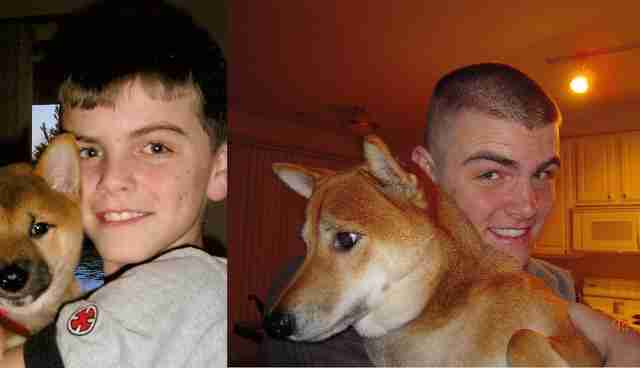 Pictures taken in 2001 and 2014." 2. "10 years of friendship!" 3. 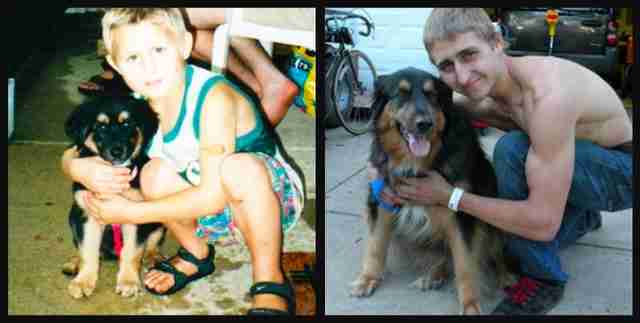 "Best friends since 1997." 4. 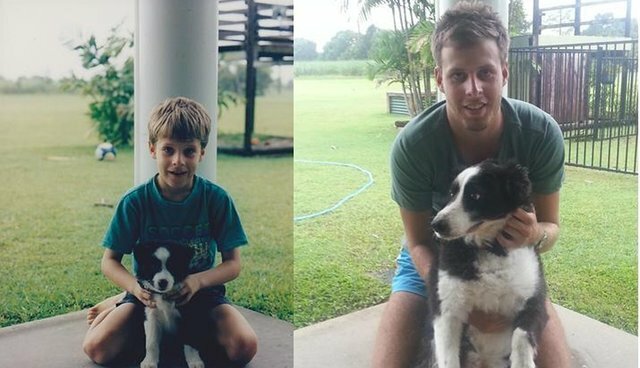 "Decided to share my 15 year friendship! Meet Monty!" 5. 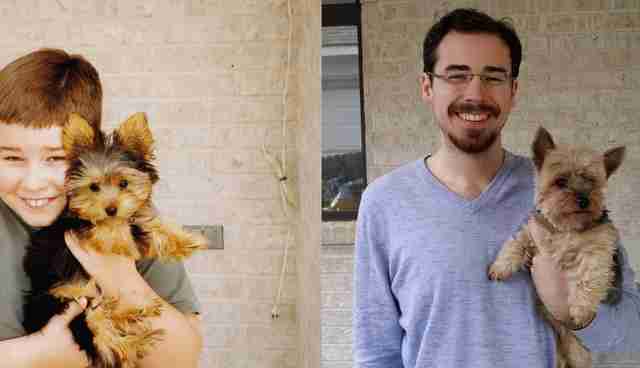 "What a nine year friendship looks like." 6. 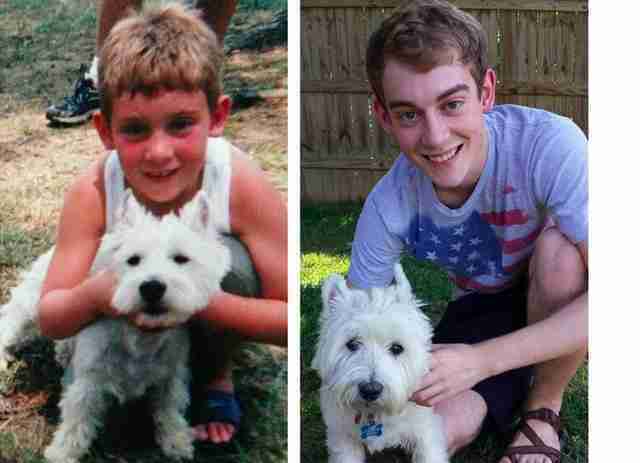 "He's been my buddy for 14 years. Meet Skippy." 7. 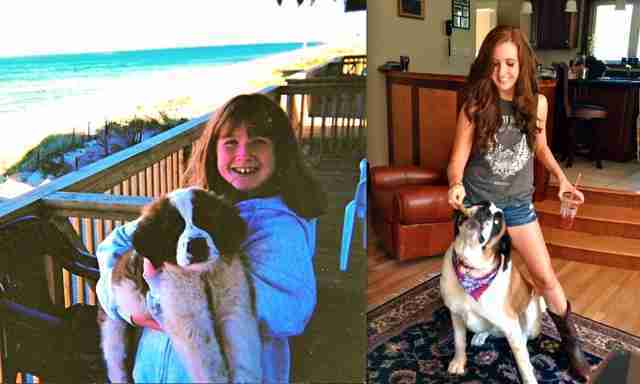 "14 years later ... me and my pup." 8. 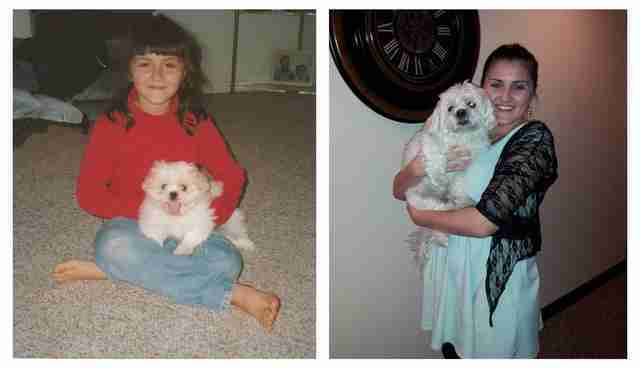 "Fourteen dog years later ... "
9. "7 years of best friends." 10. 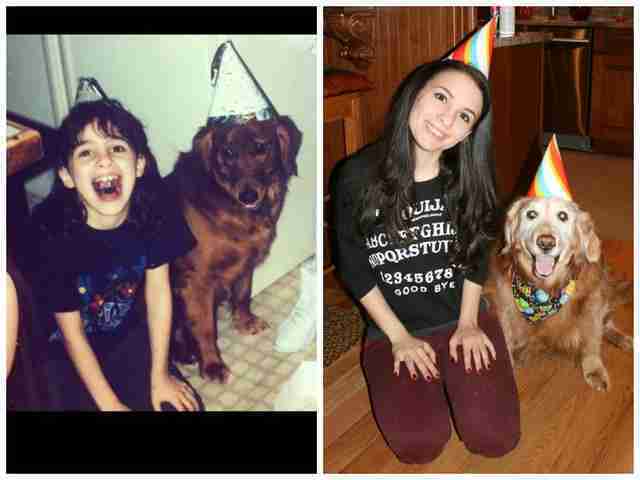 "This is Brandy and I on her first birthday, and 14 years later on her fifteenth. Happy birthday to my beautiful beloved Brandy!!!" 11. 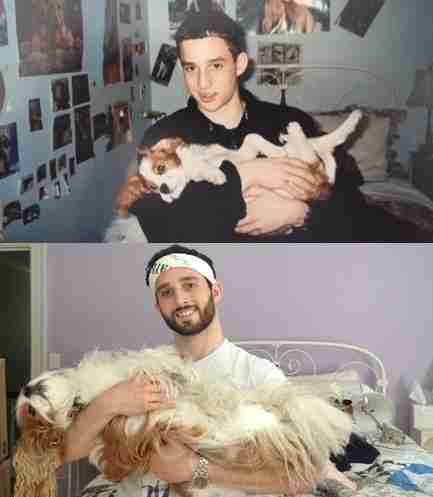 "True love, 13 years later." 12. 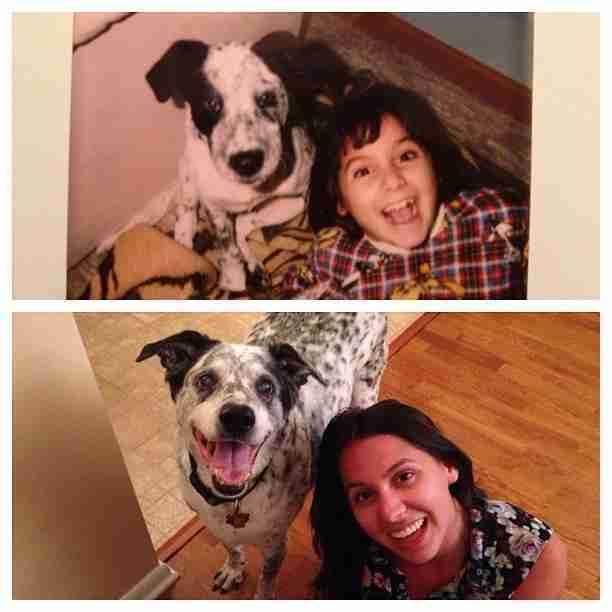 "14 years later ... Nikki is still the best Hanukkah gift a kid could ask for." 13. 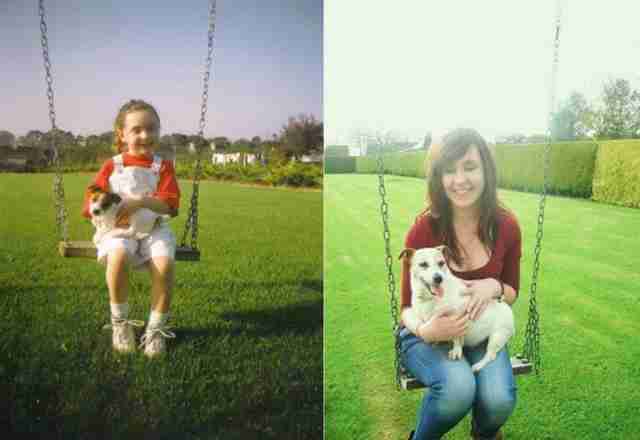 "My girlfriend and her dog, then and now. (14 years later)"
14. "20 years later and still goin strong." 15. 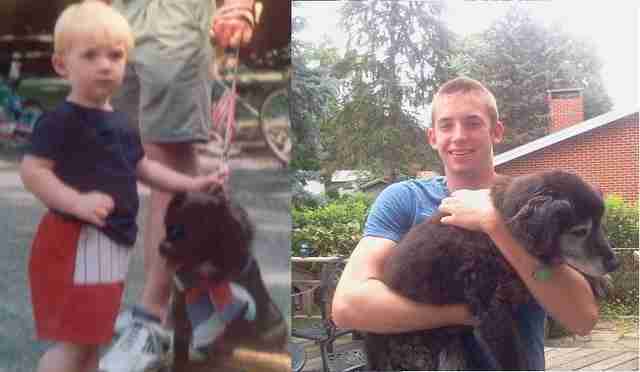 "12 years later and I still love the little guy." 16. 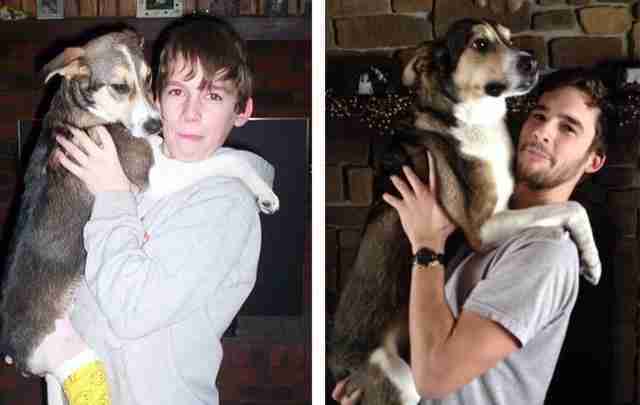 "Brutus and I, 8 years later." 17. 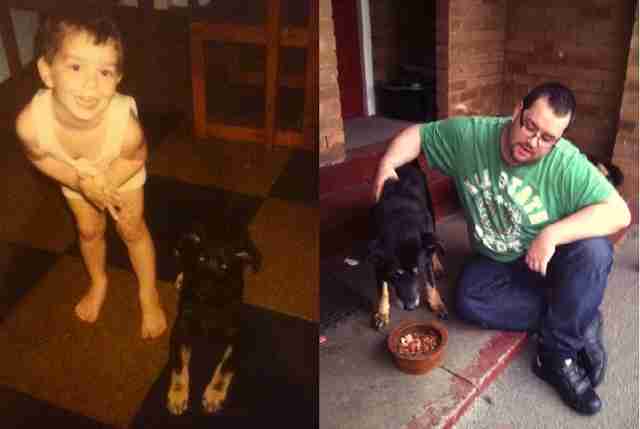 "My brother and our puppy Amber, 12 years later." 18. "15 years later ... "
19. 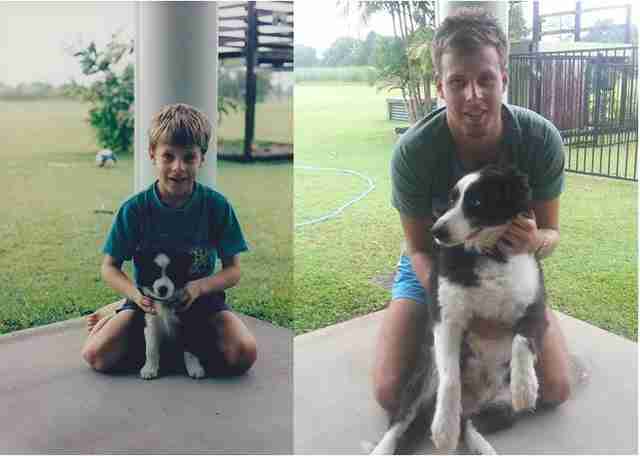 "My best buddy Zack and me, and us again almost 18 years later."